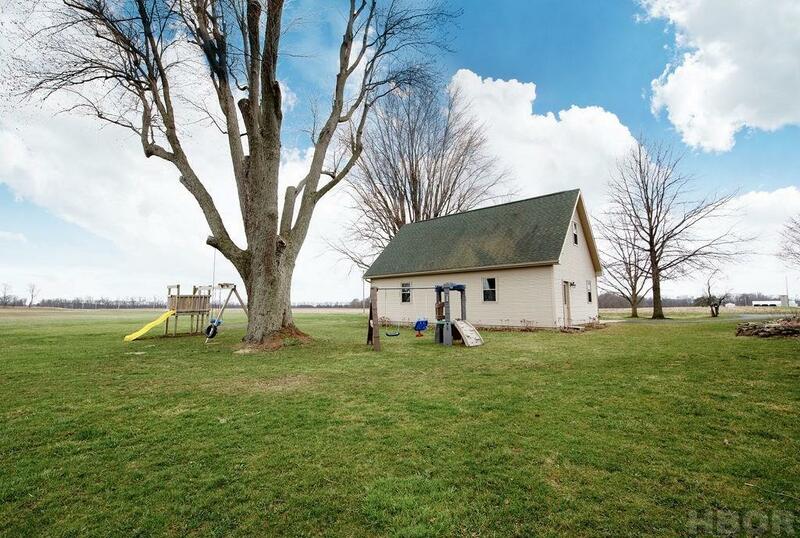 This must see, 4 bedroom (possible 5), 2 bathroom home is situated on an acre. 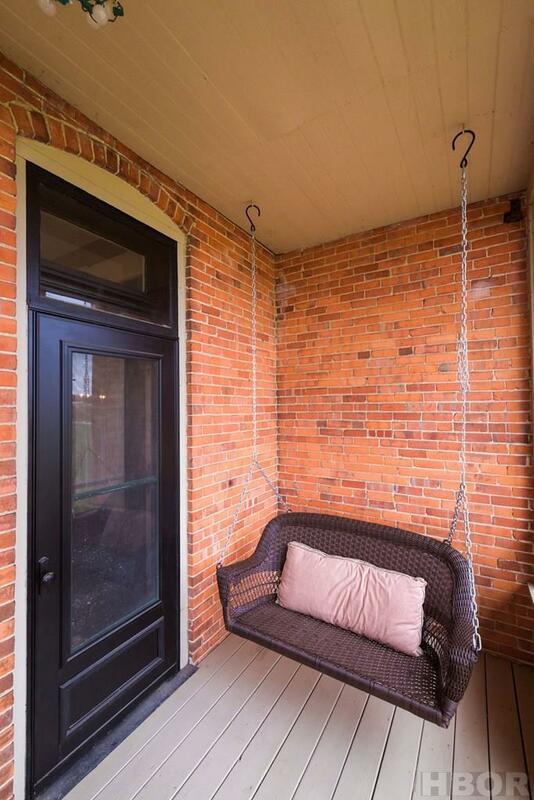 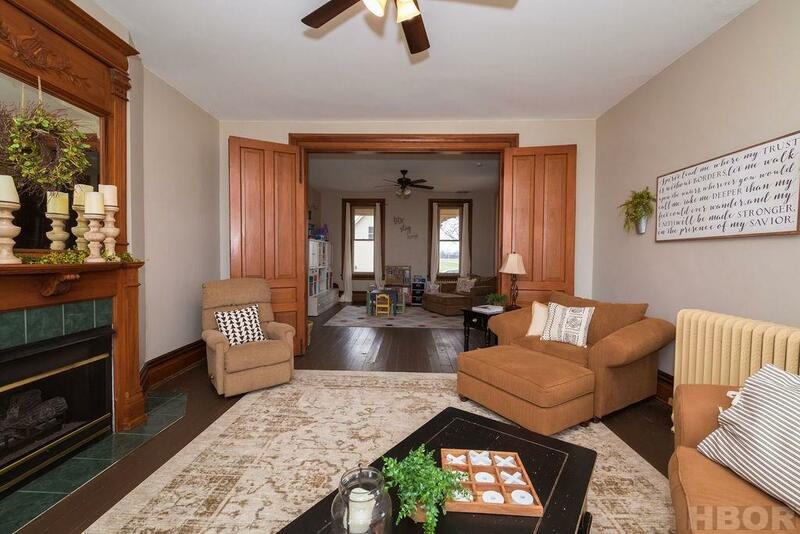 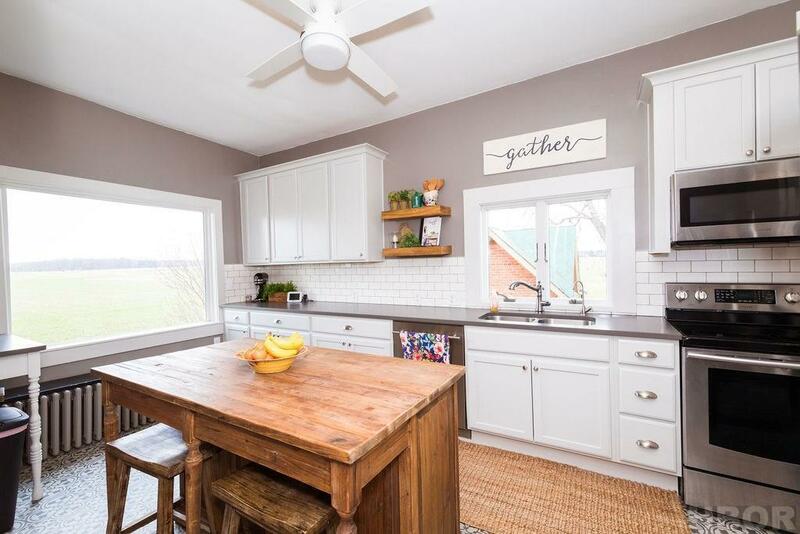 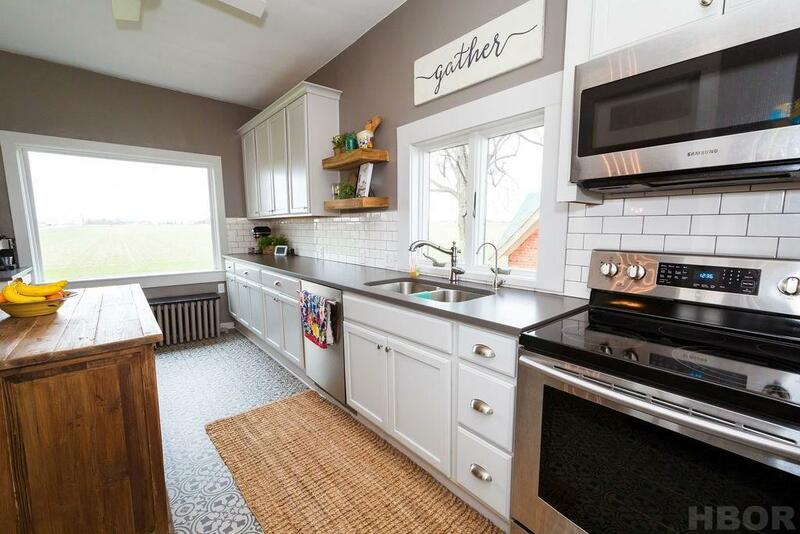 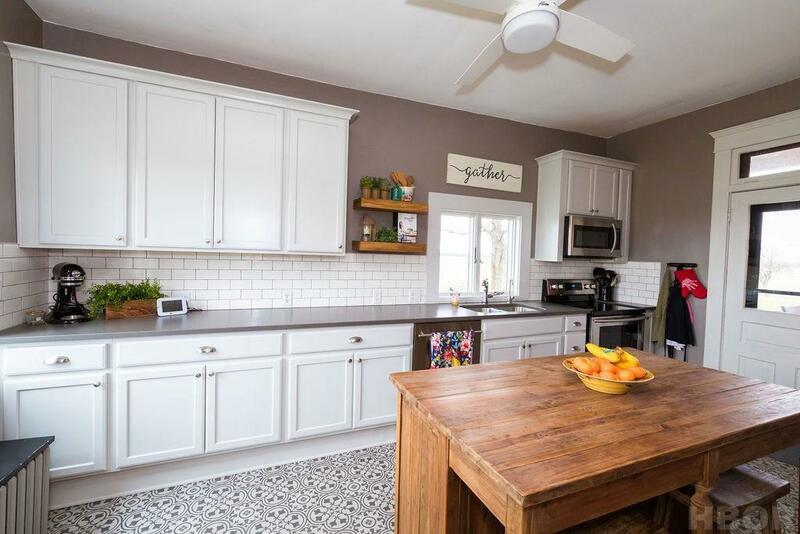 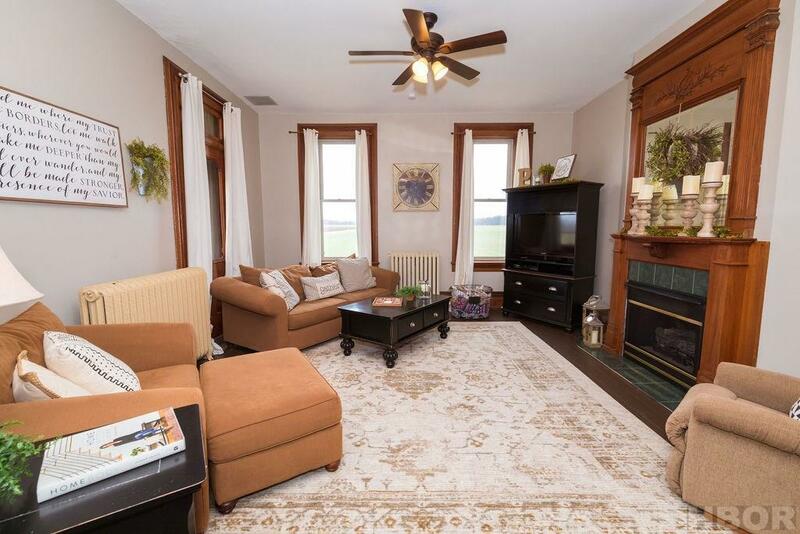 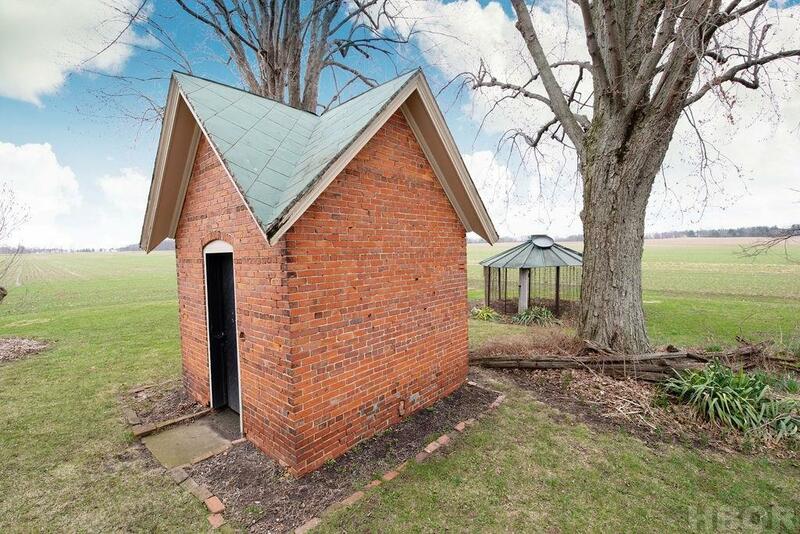 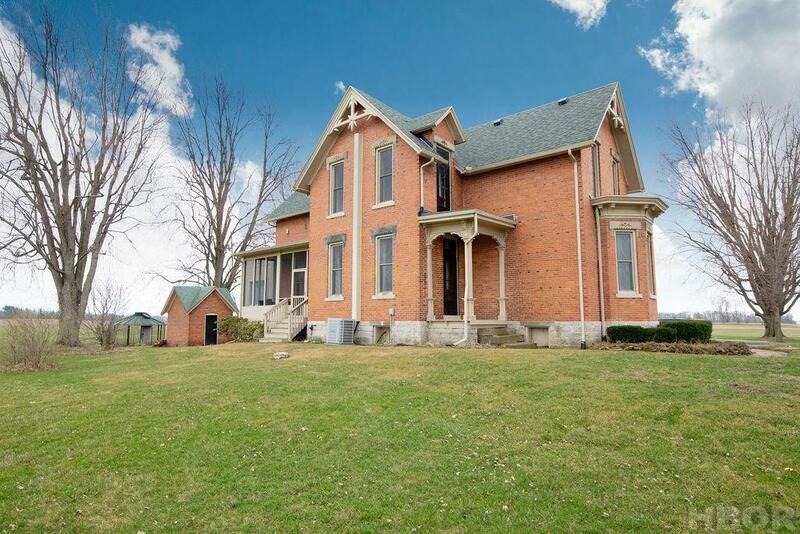 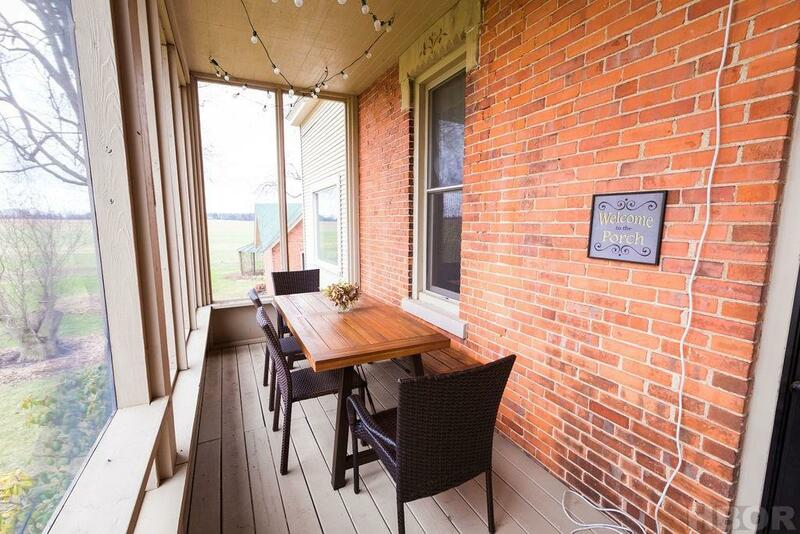 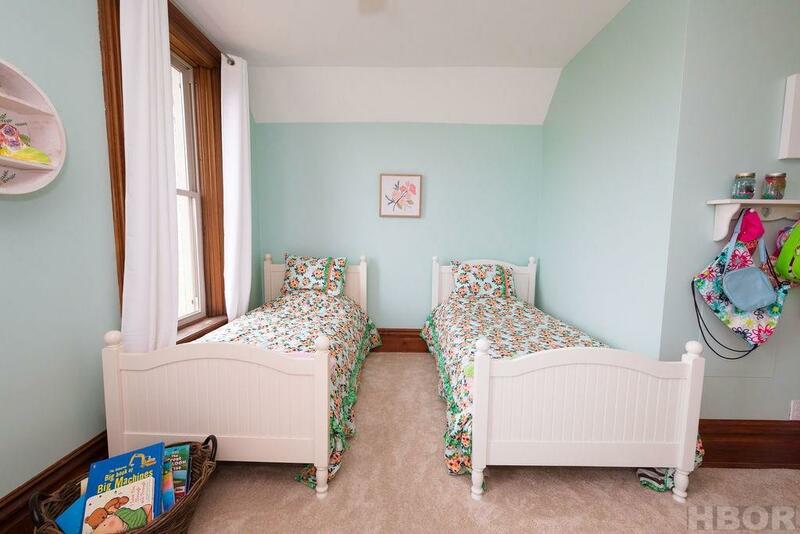 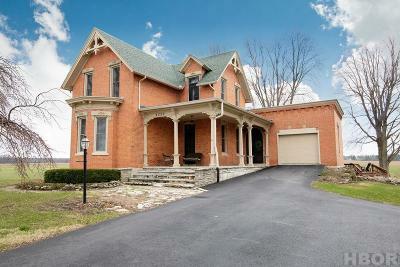 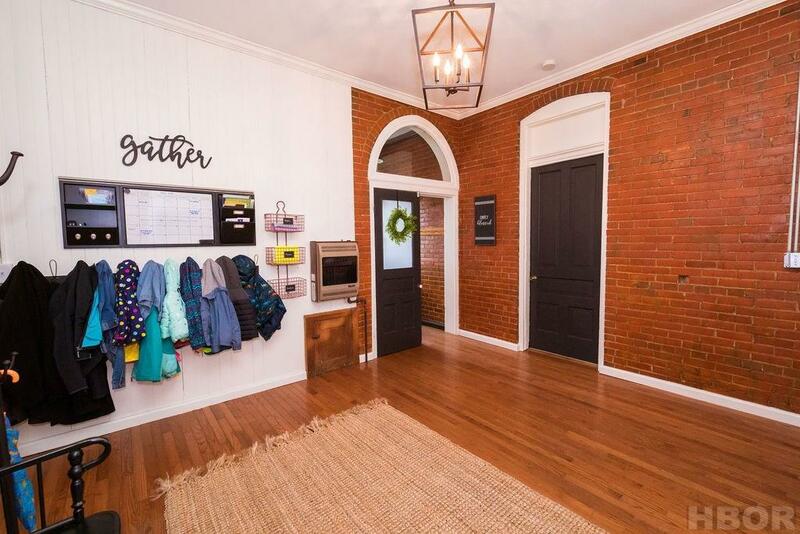 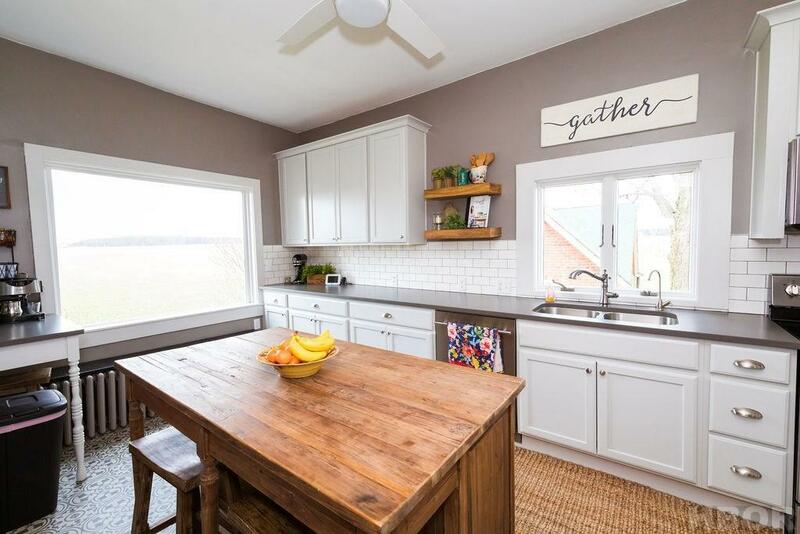 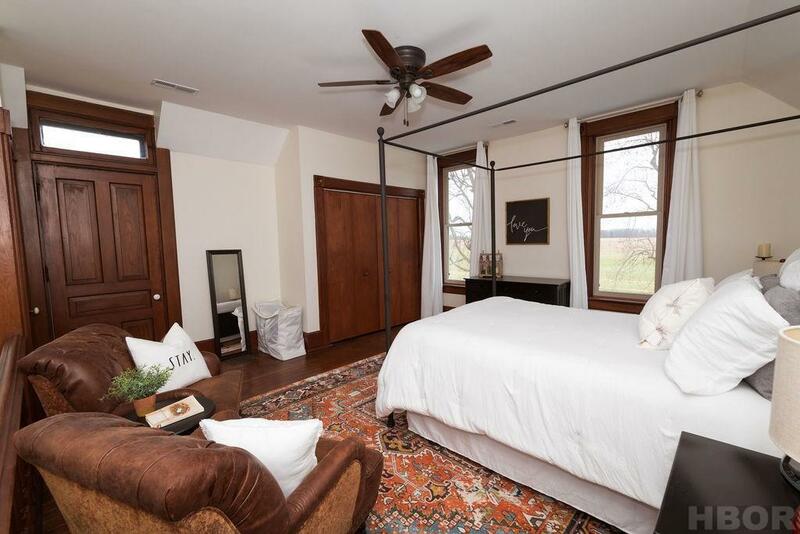 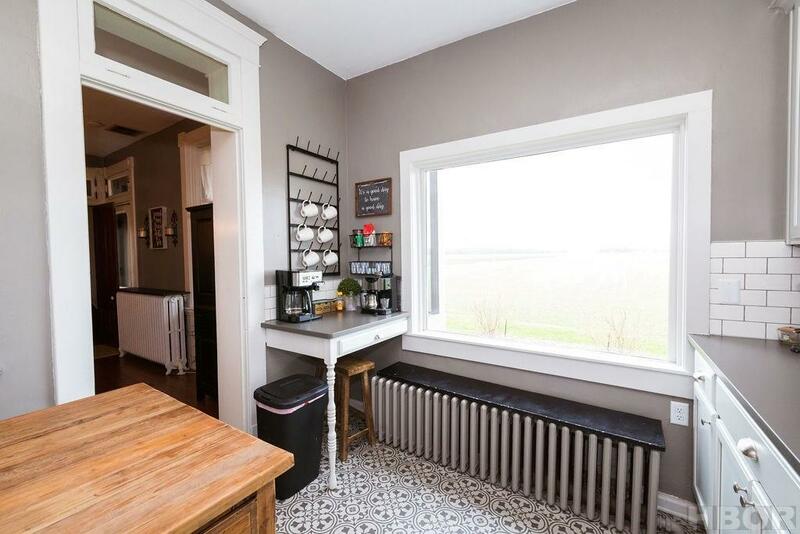 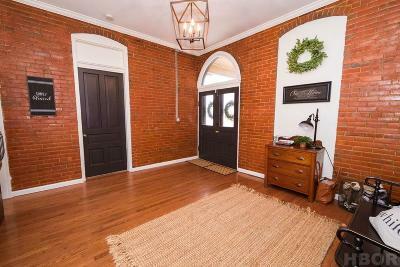 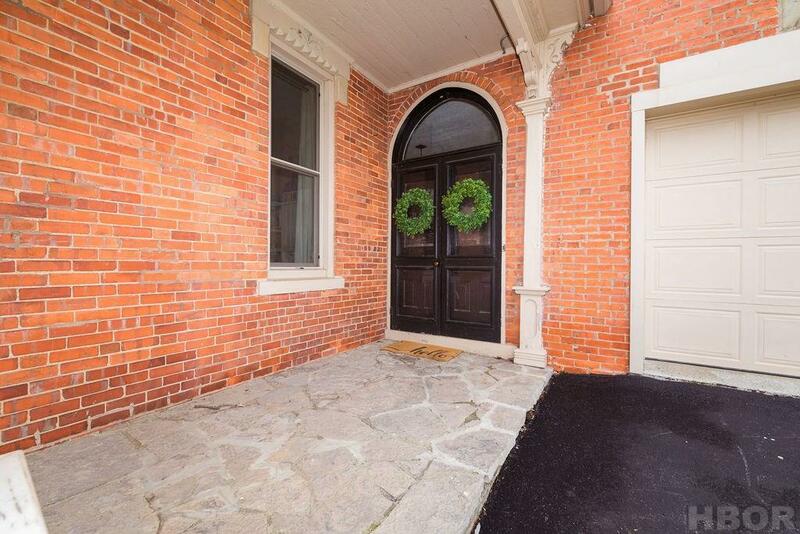 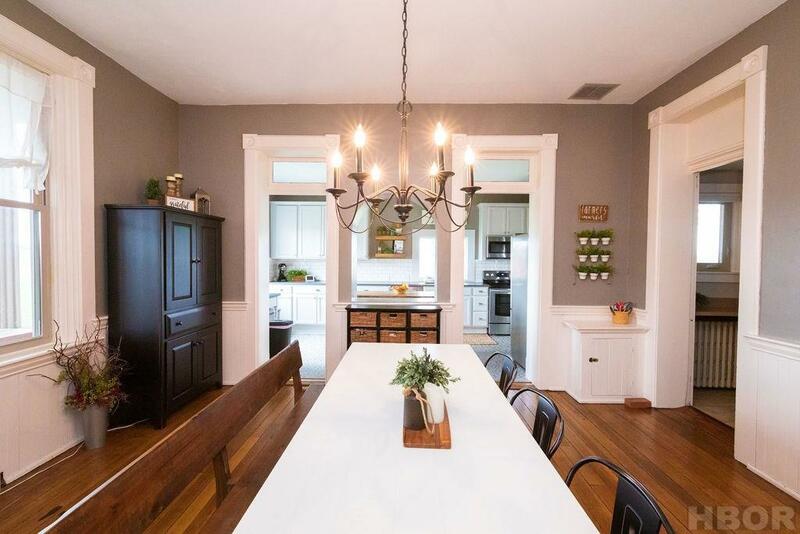 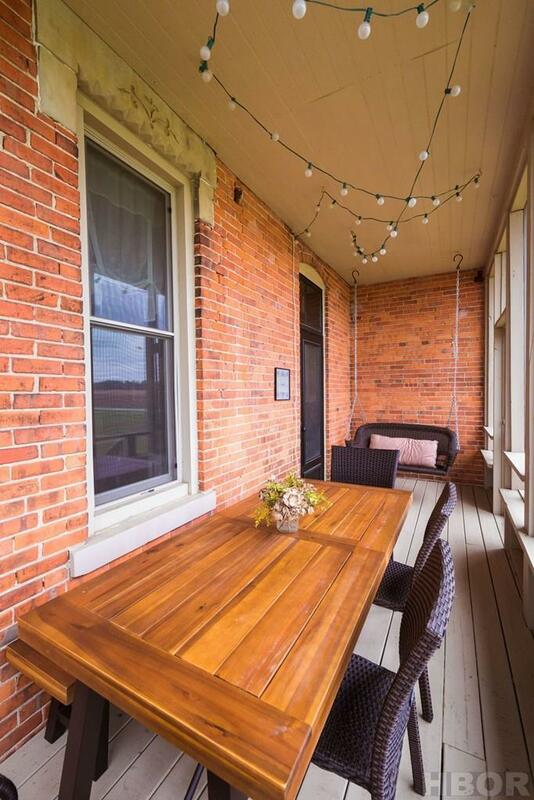 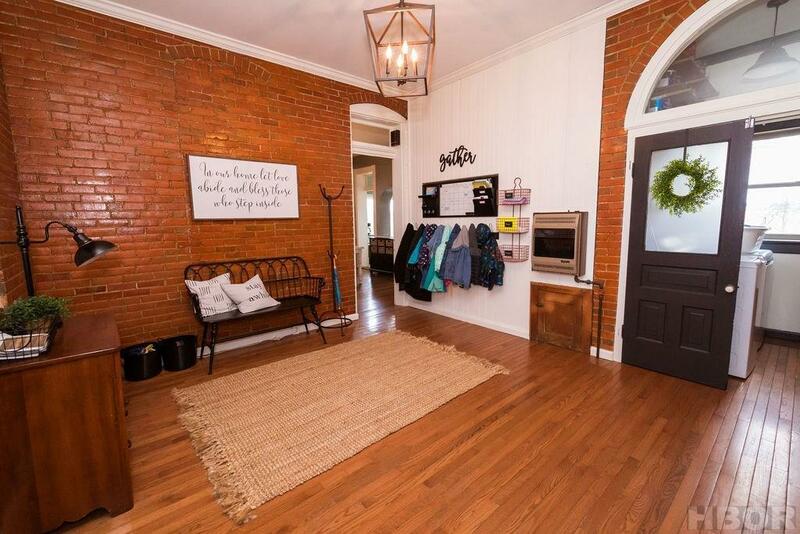 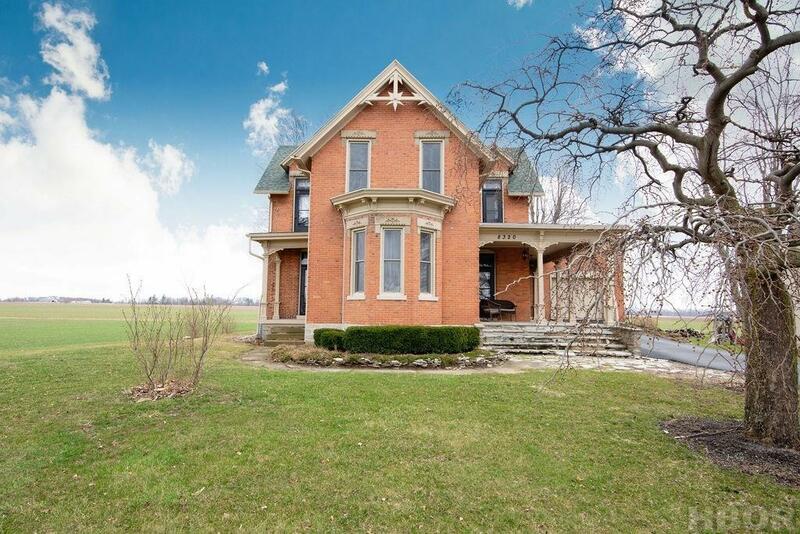 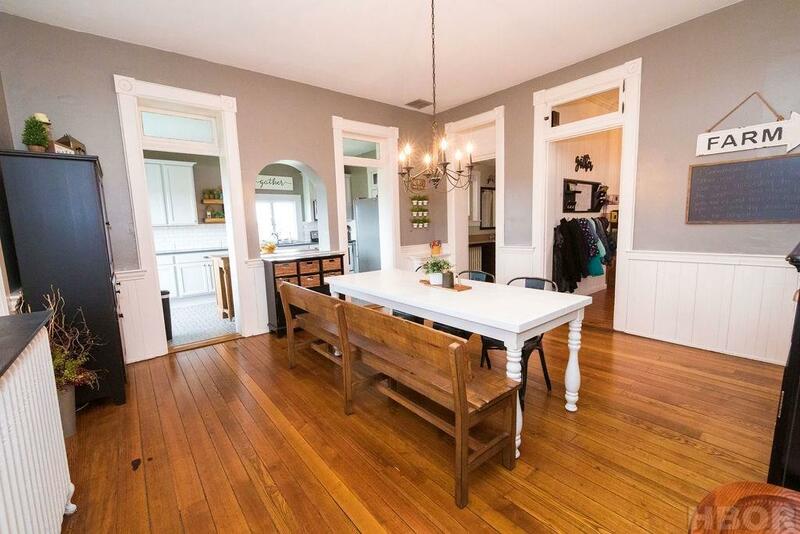 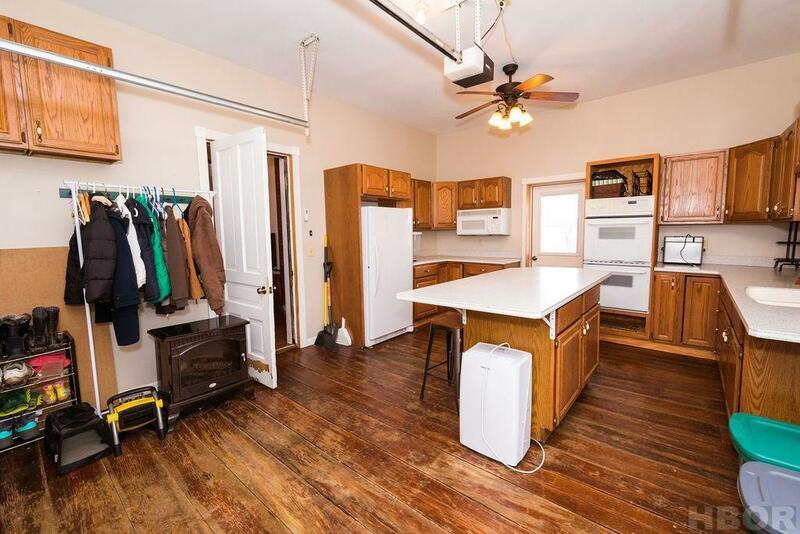 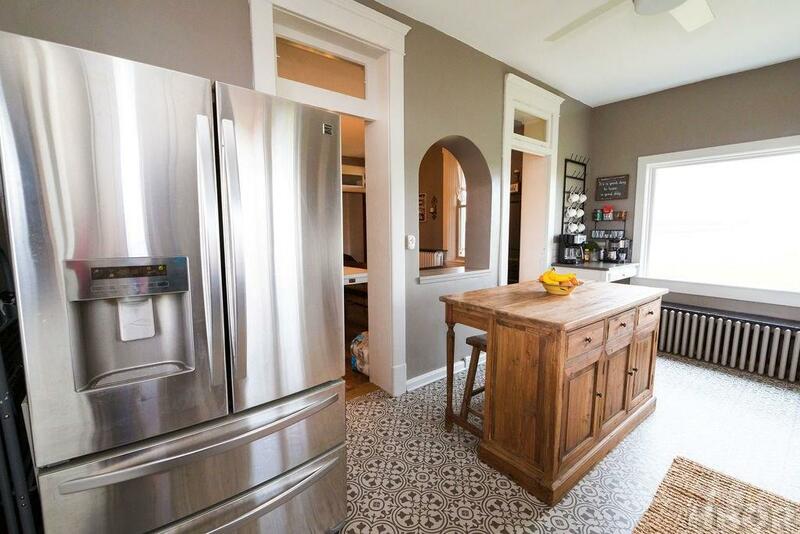 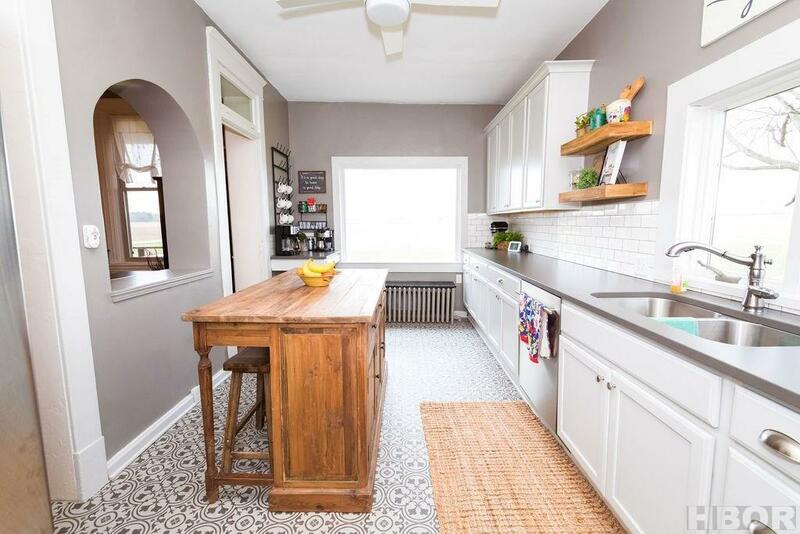 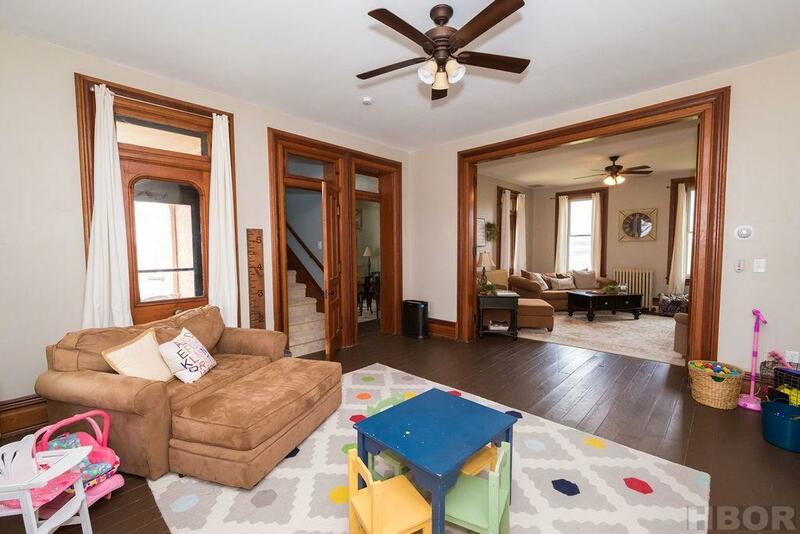 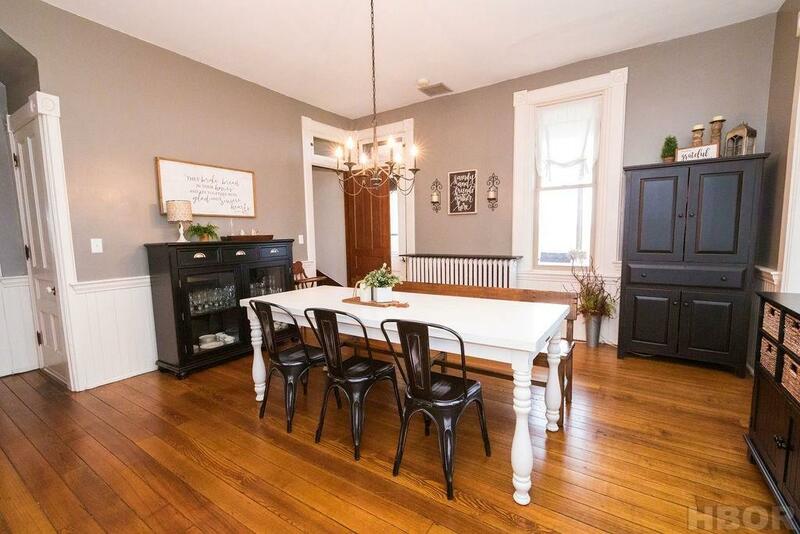 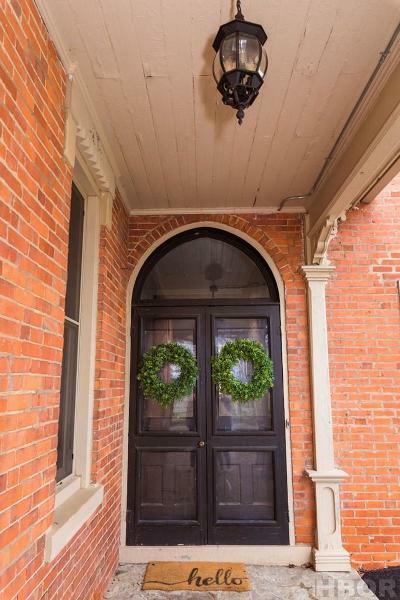 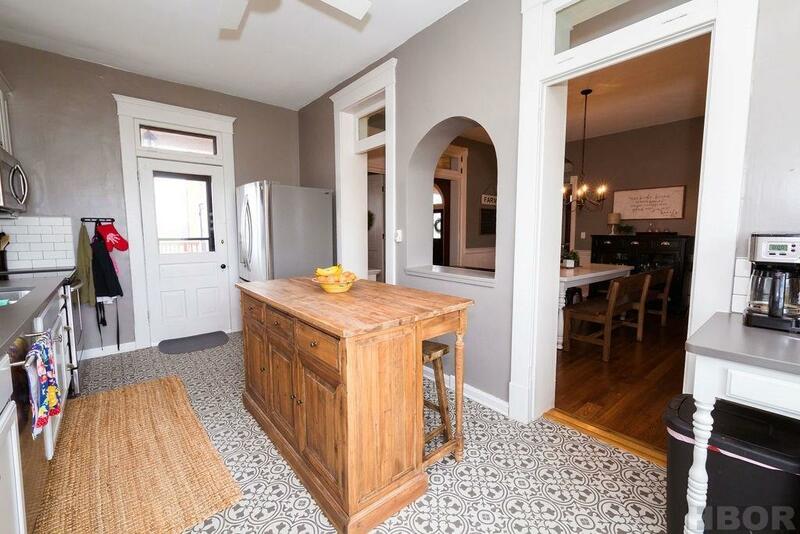 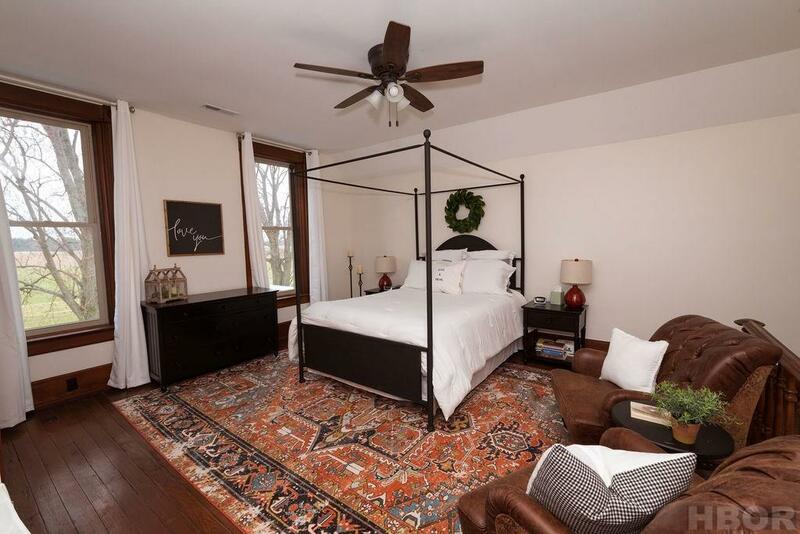 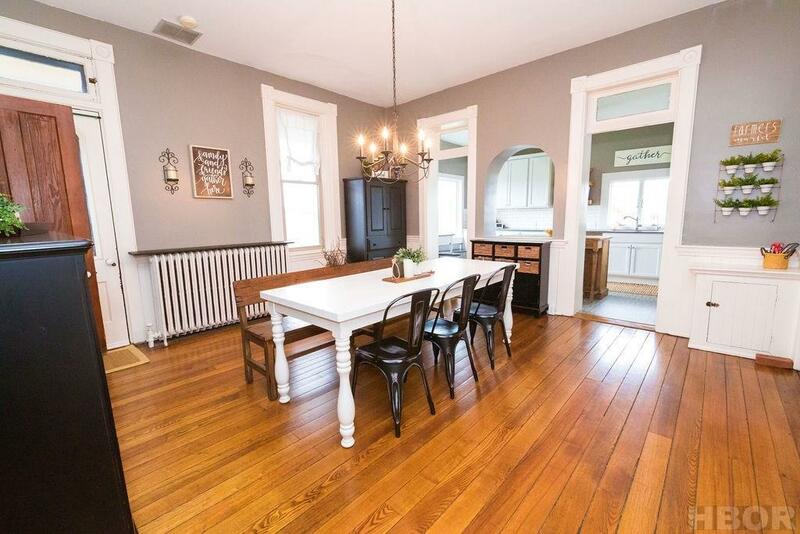 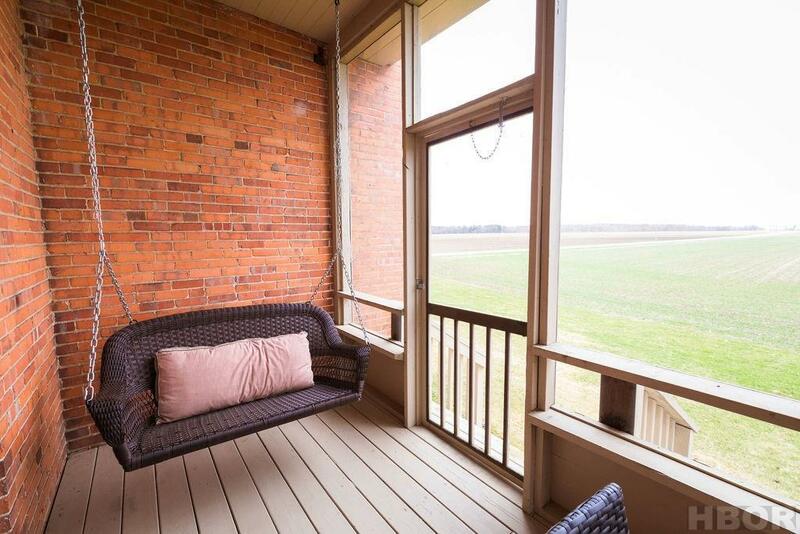 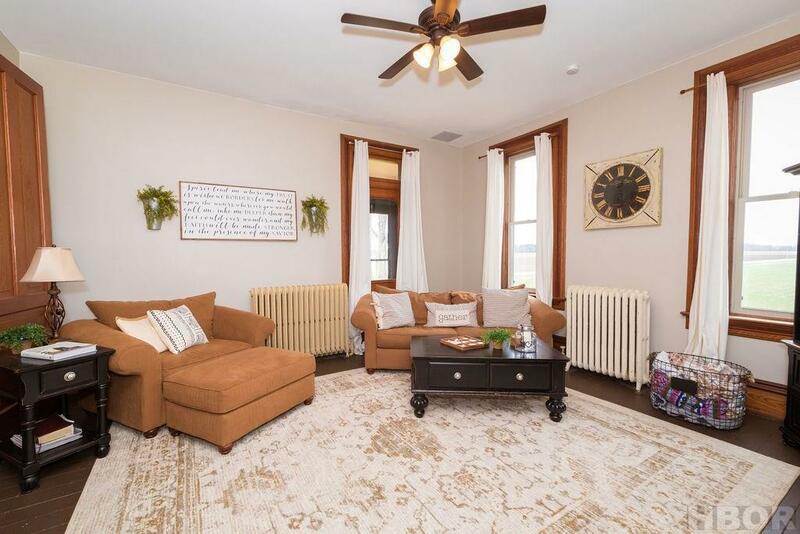 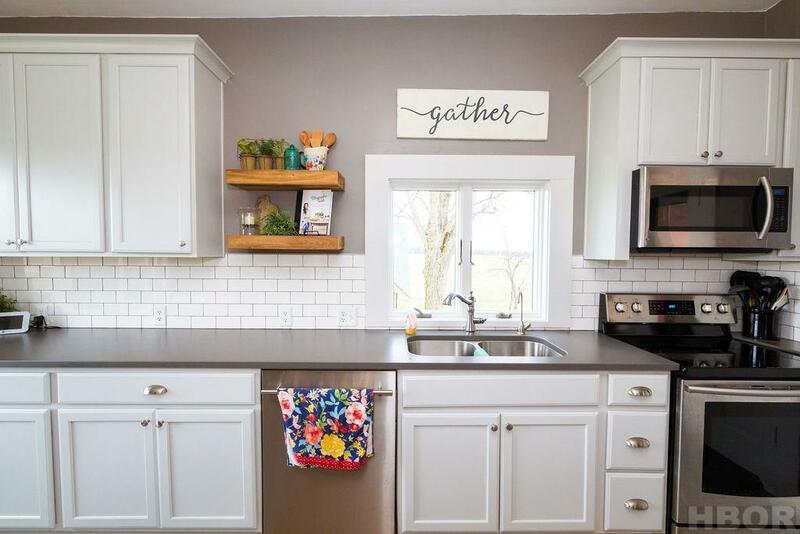 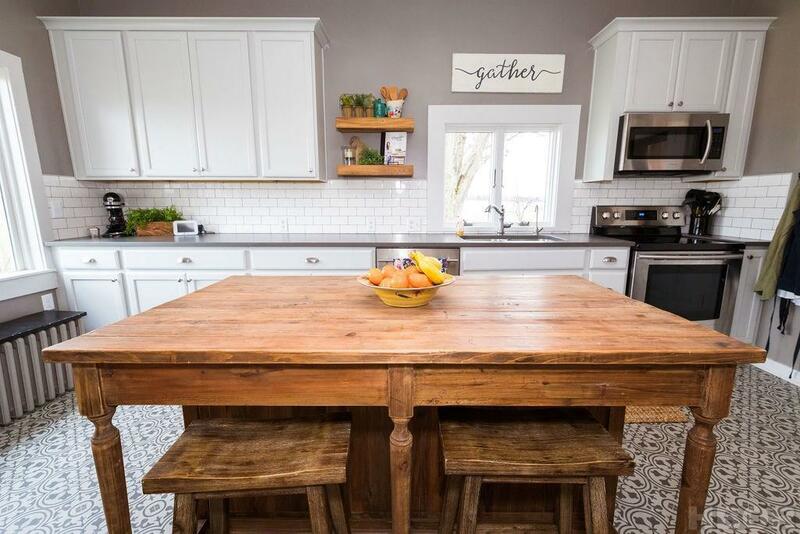 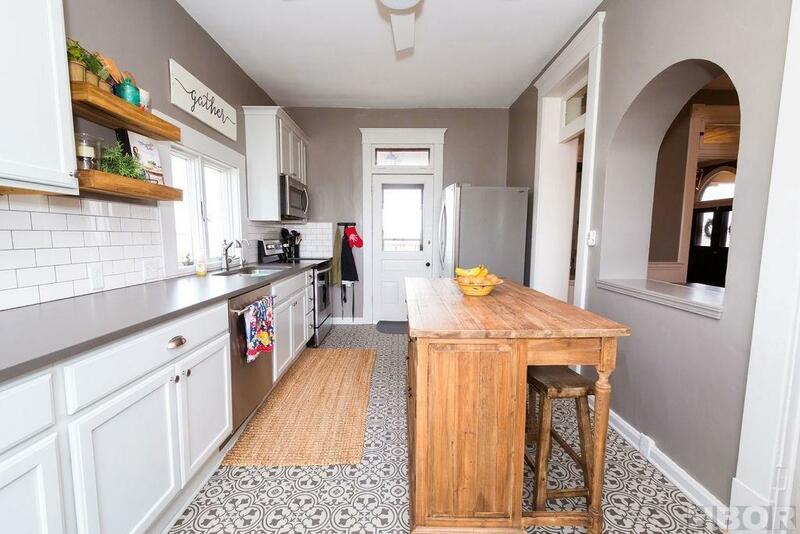 This home has a ton of character along with that beautifu, bright and airy farmhouse feel. 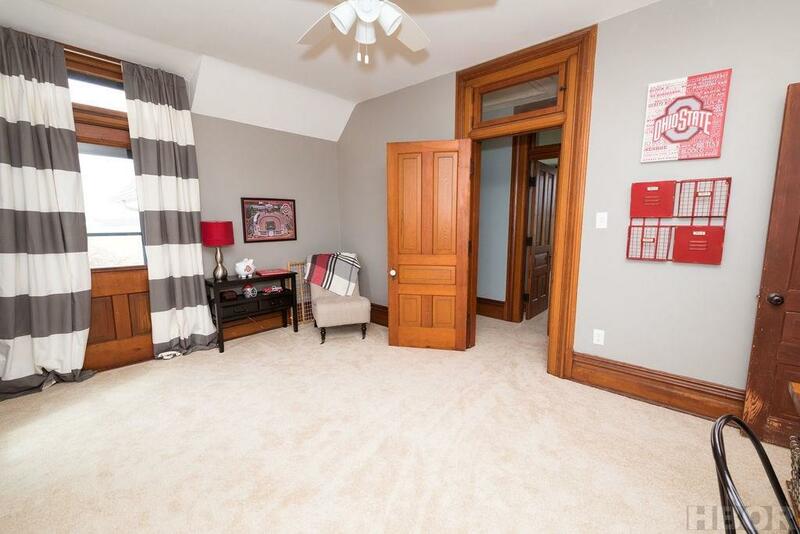 Walk in and kick off your shoes in the massive foyer area and then head in to the large dining space that offers great sight lines in to the kitchen. 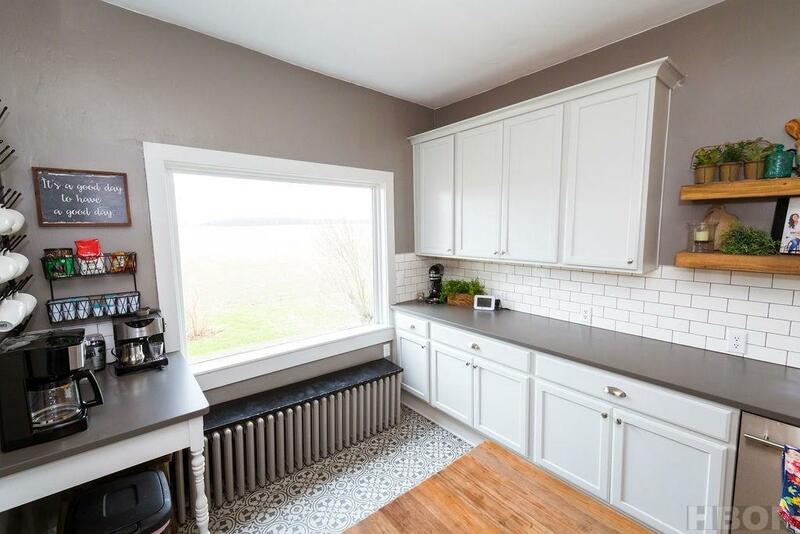 With stainless steel appliances, suede quartz countertops, a large center island, and loads of natural light, it will make doing daily chores seem much less tedious. 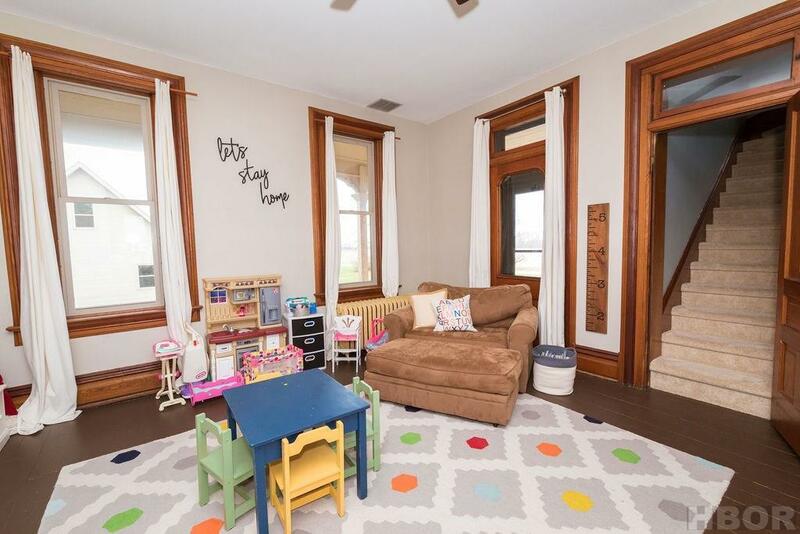 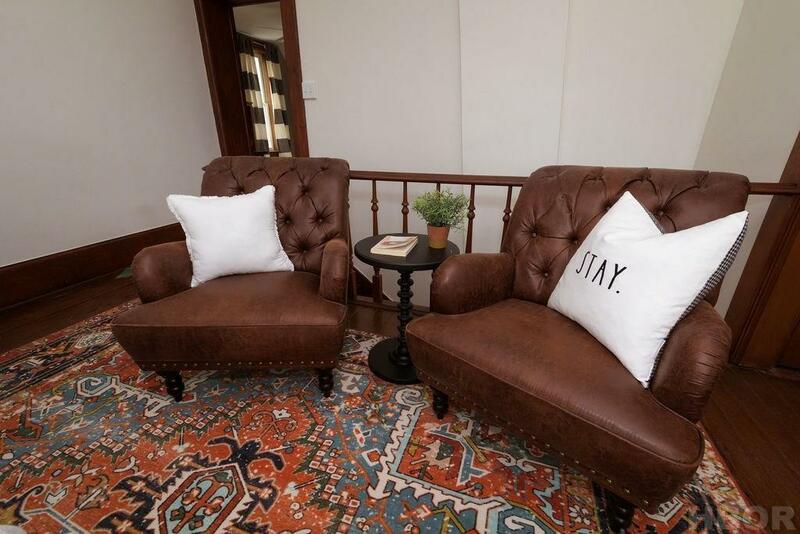 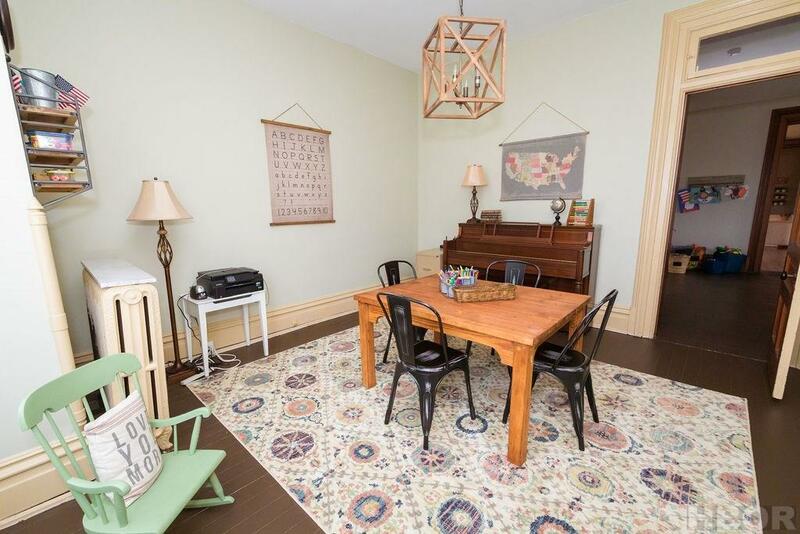 The living room features beautiful decorating that looks like its been ripped right out of a magazine. 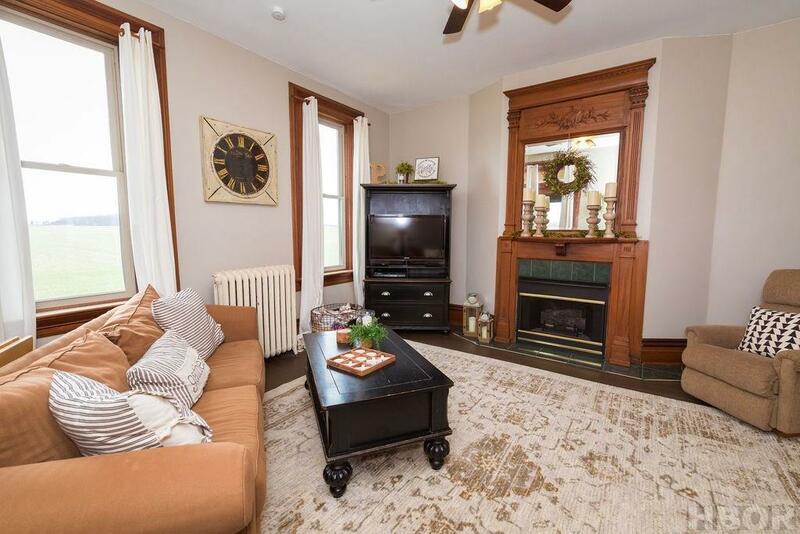 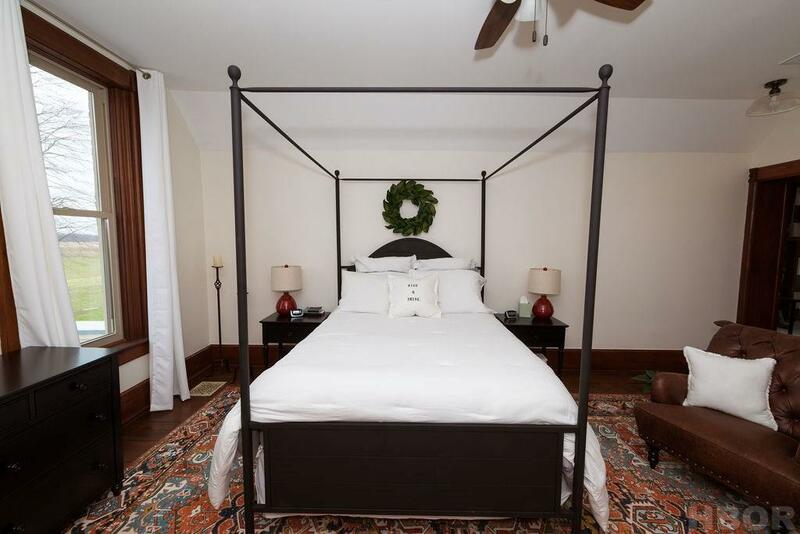 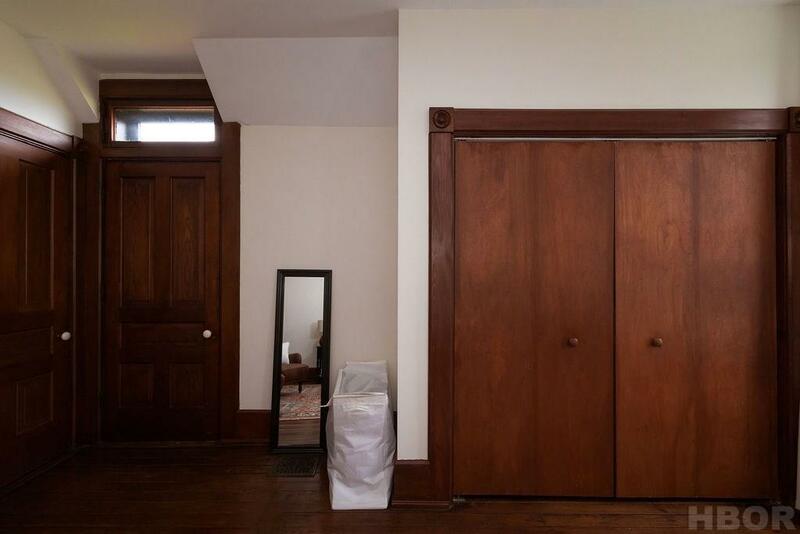 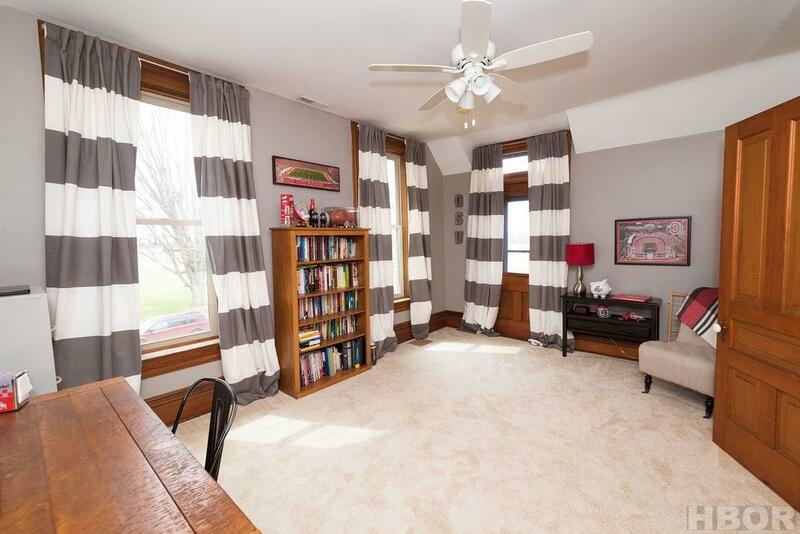 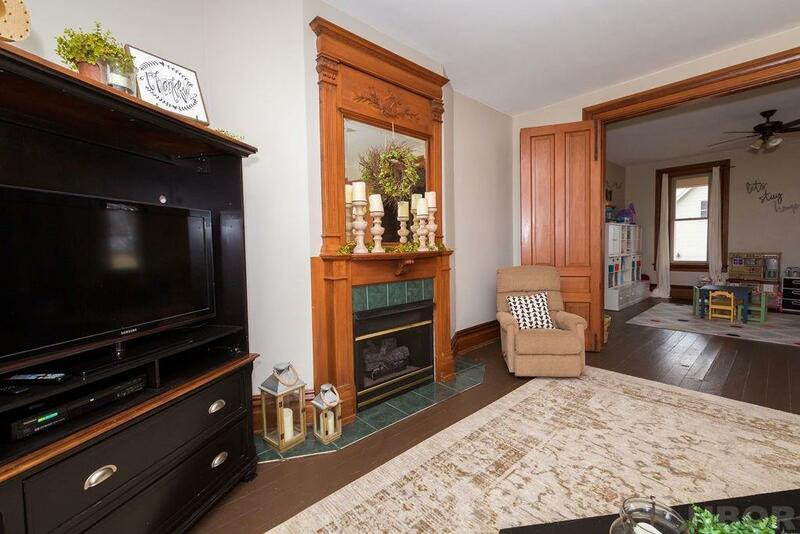 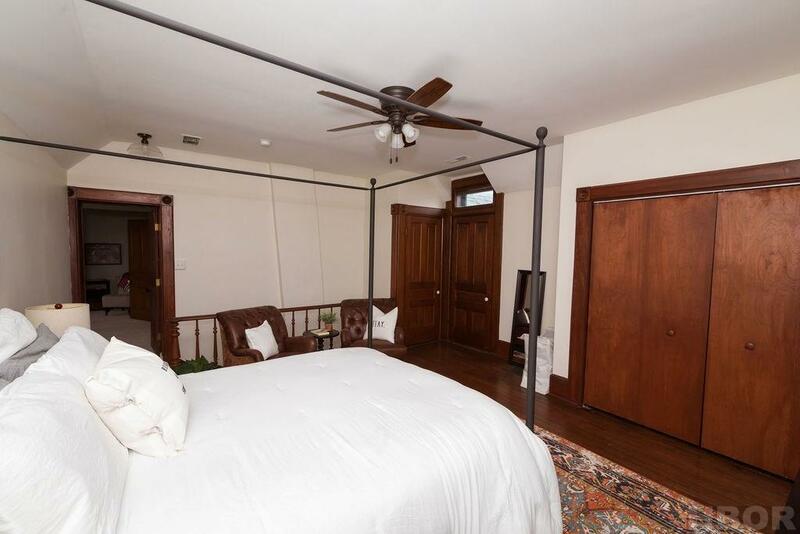 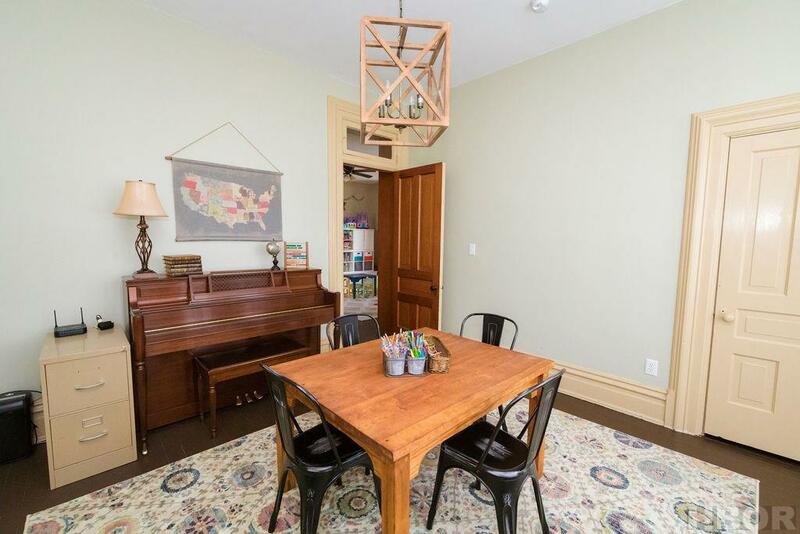 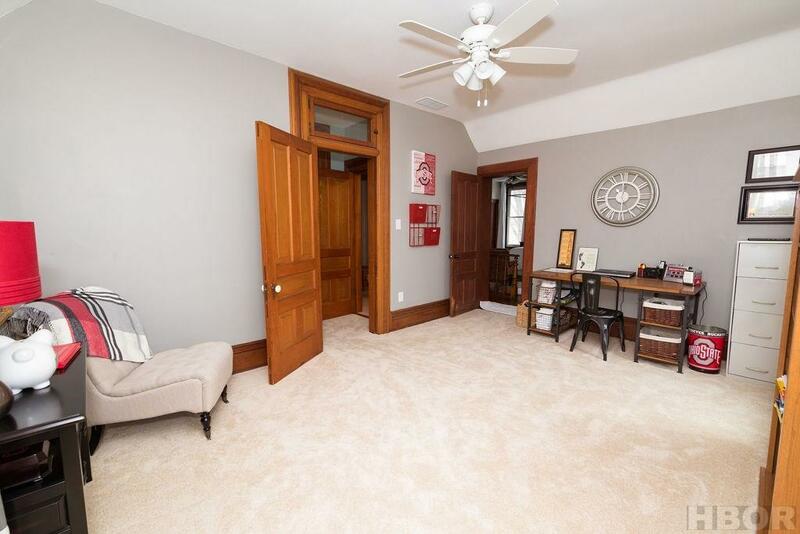 There is an original fireplace as the focal point of the room along with accordion doors that allow you to close the space off for more privacy. 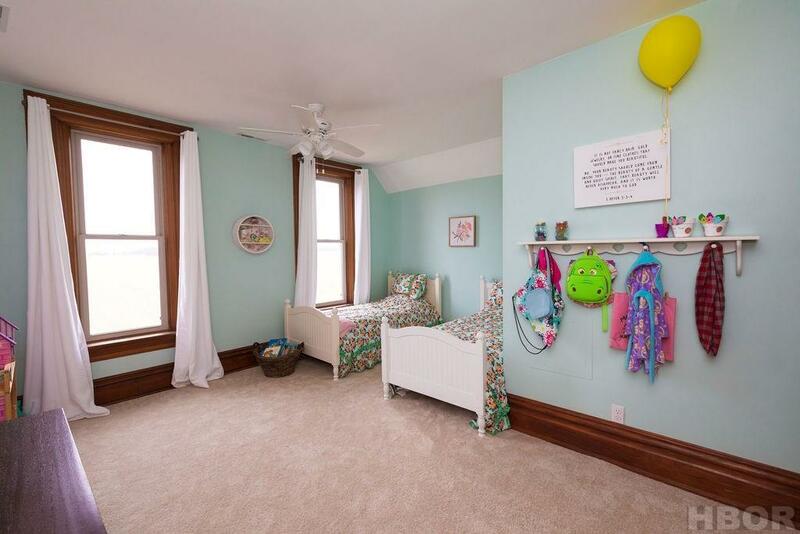 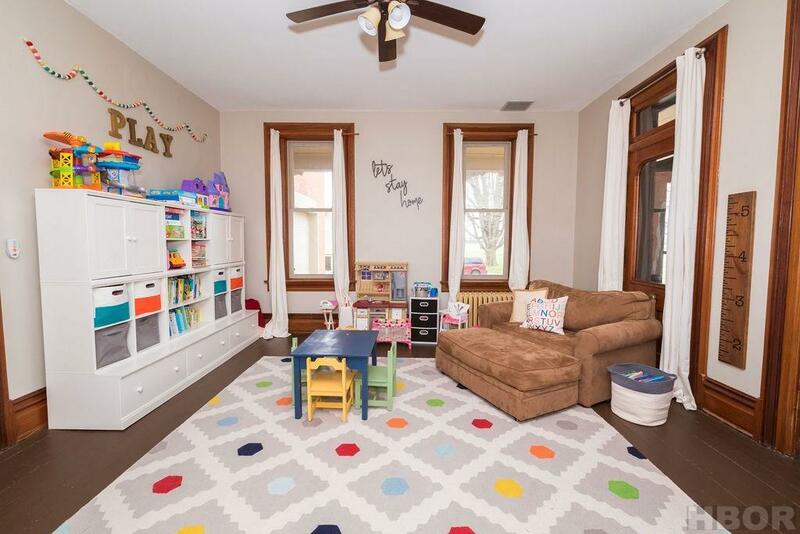 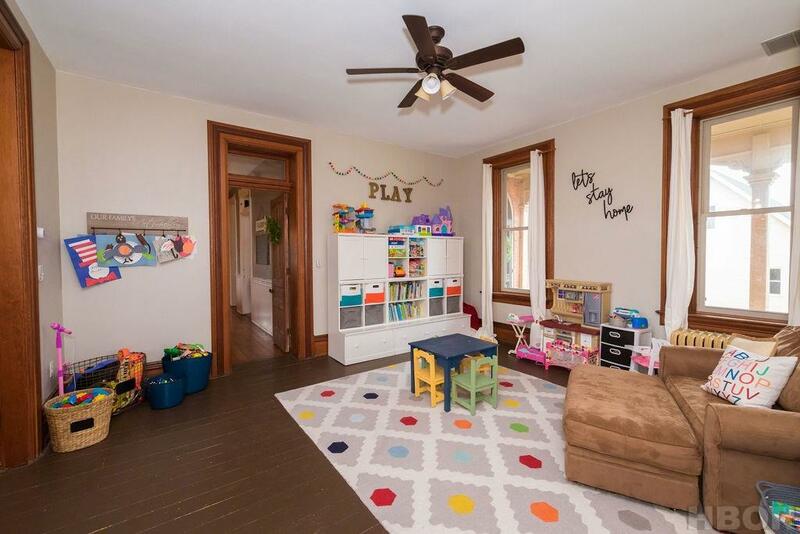 There is another room that's currently being utilized as a playroom.but use it for whatever your heart desires. 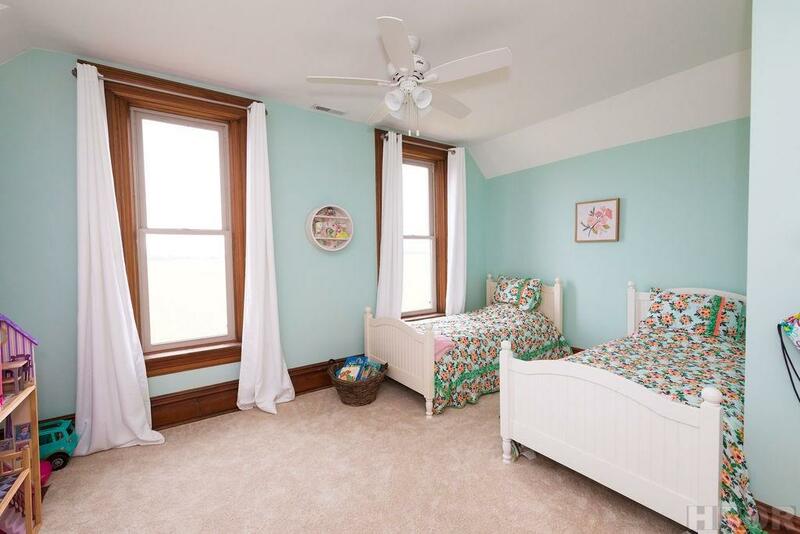 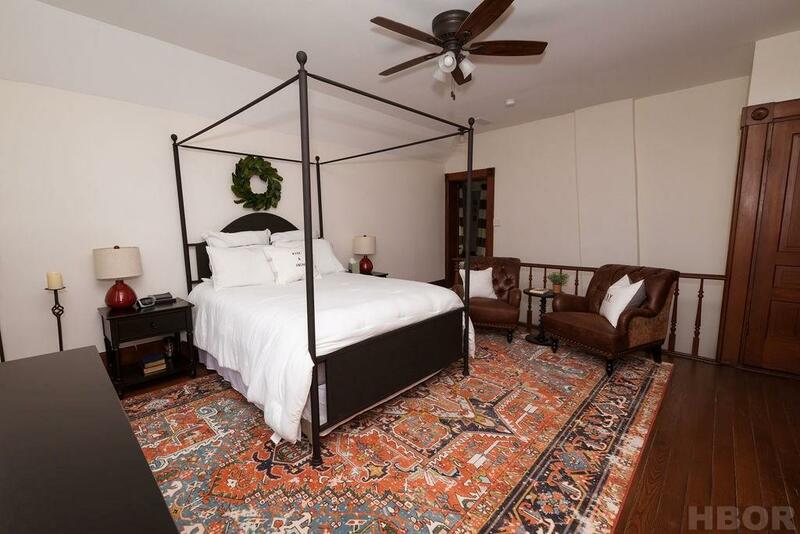 Then you have your first floor bedroom. 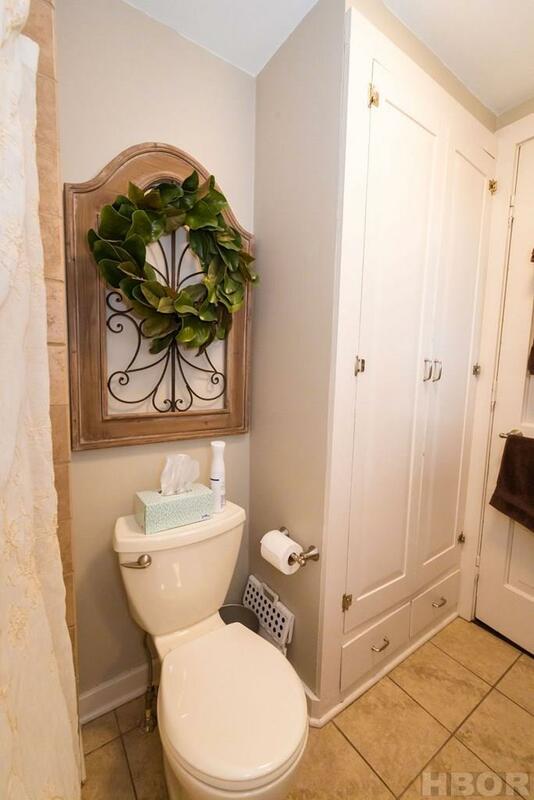 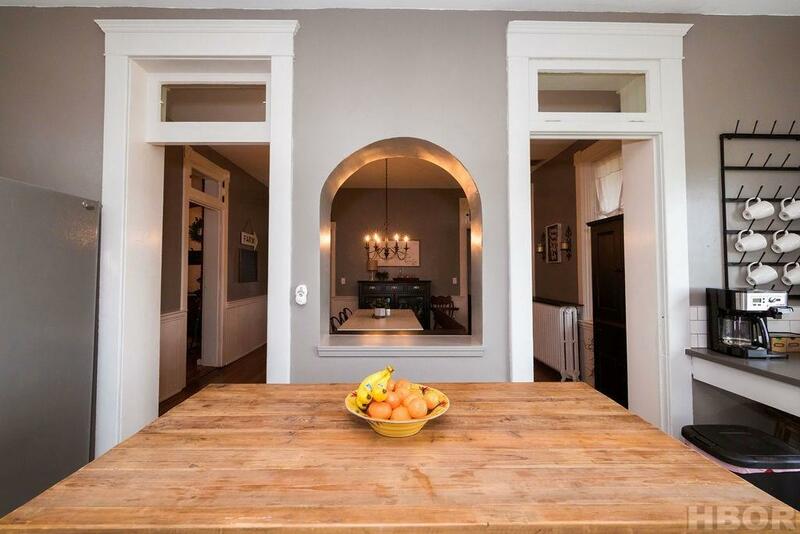 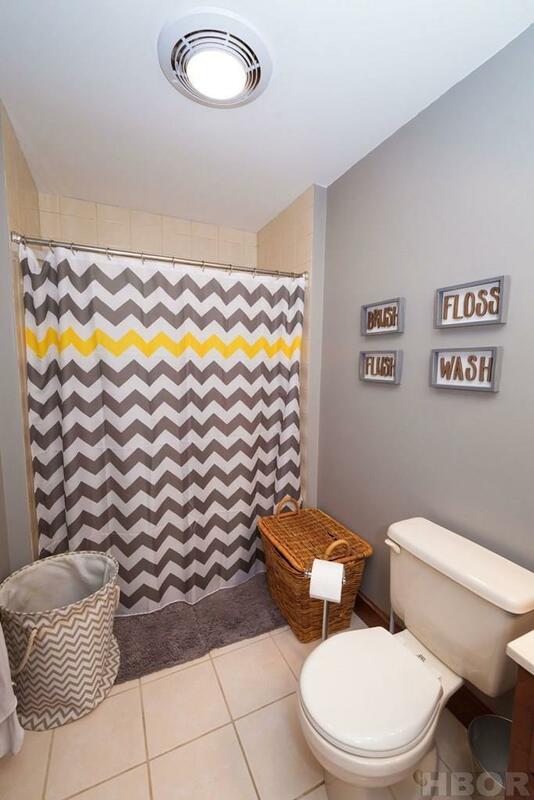 Head on upstairs and you'll find the other 3 bedrooms (possible 5th) and your other full bathroom. 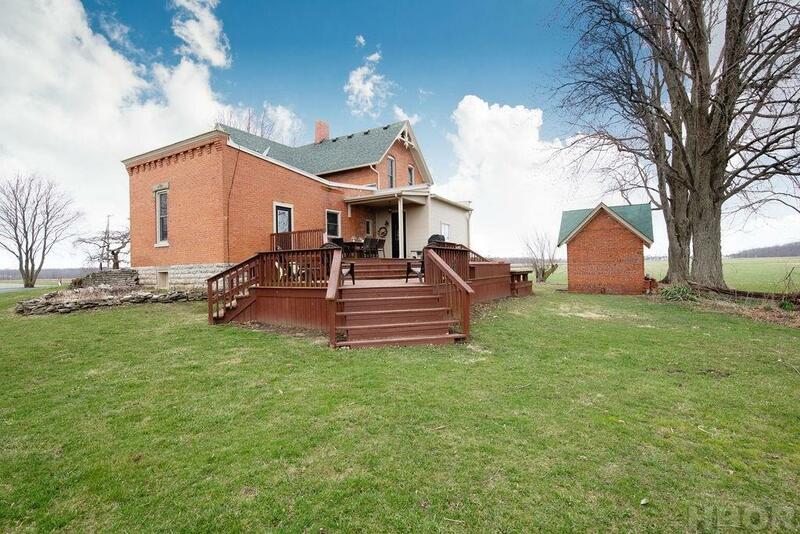 All you have to do is move in and enjoy country living at its finest. 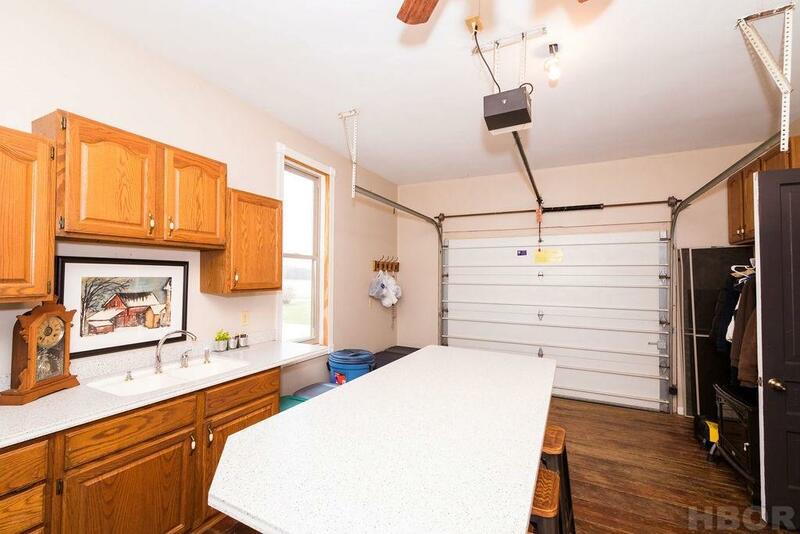 Attached to the home is a 1-car garage that has actually been transformed to a summer kitchen. 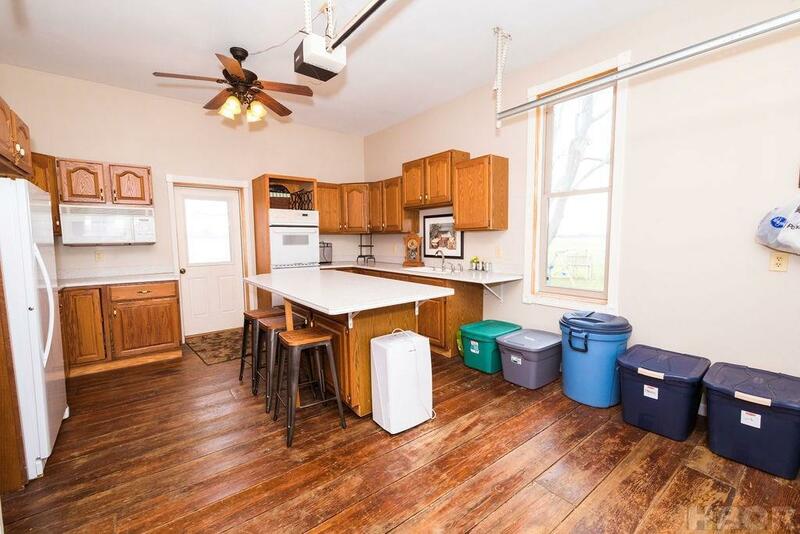 The center island is on wheels and can be rolled out if you'd like to use the space as a functioning garage. 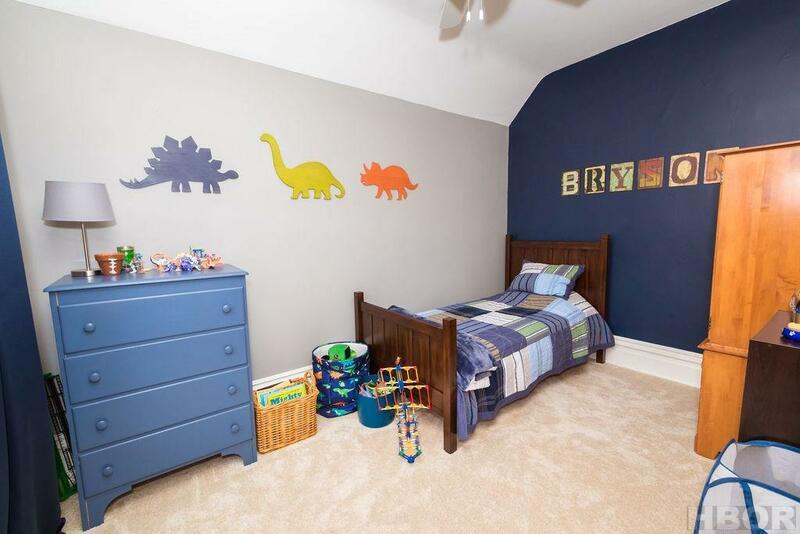 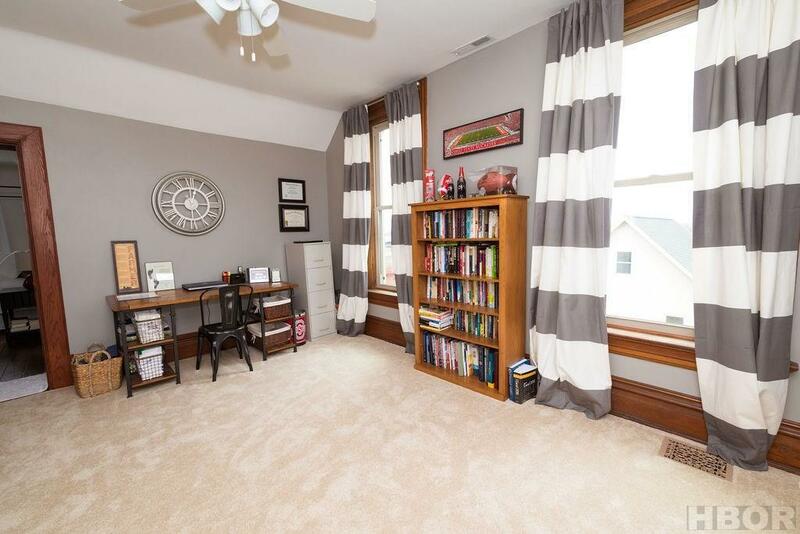 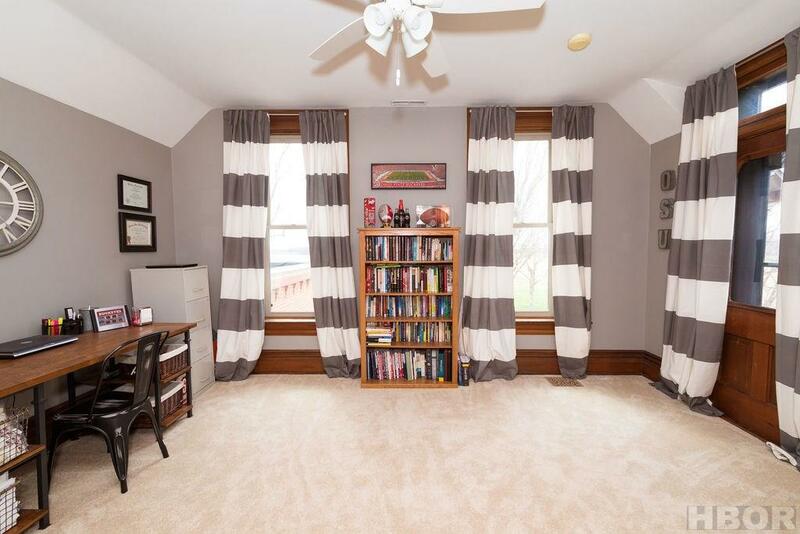 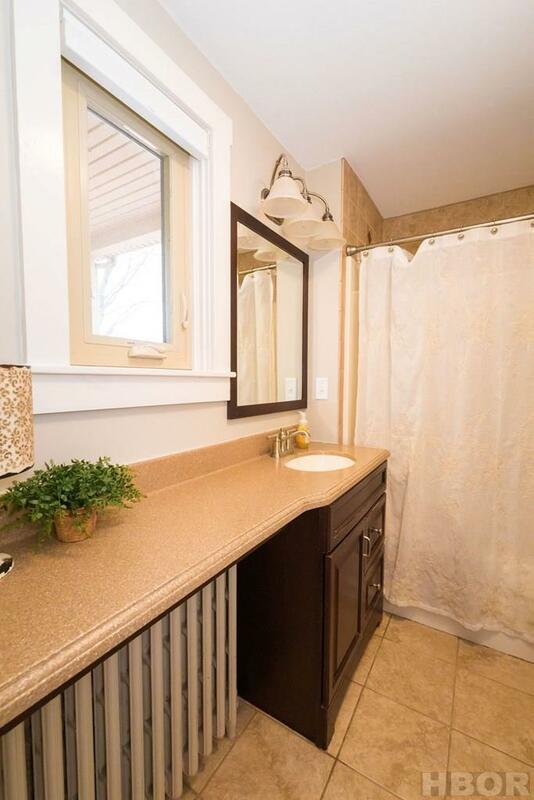 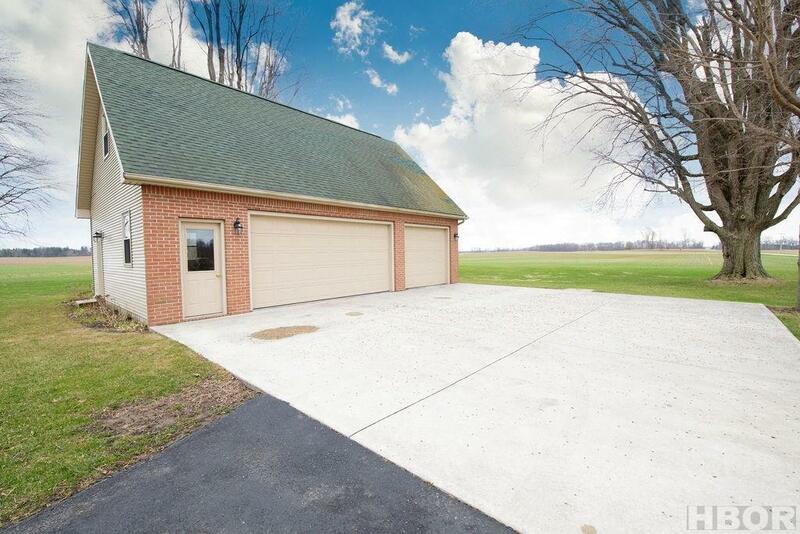 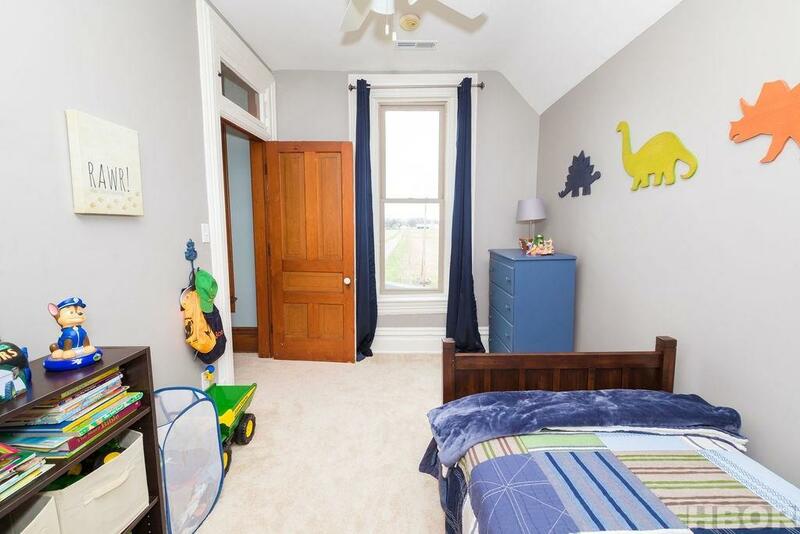 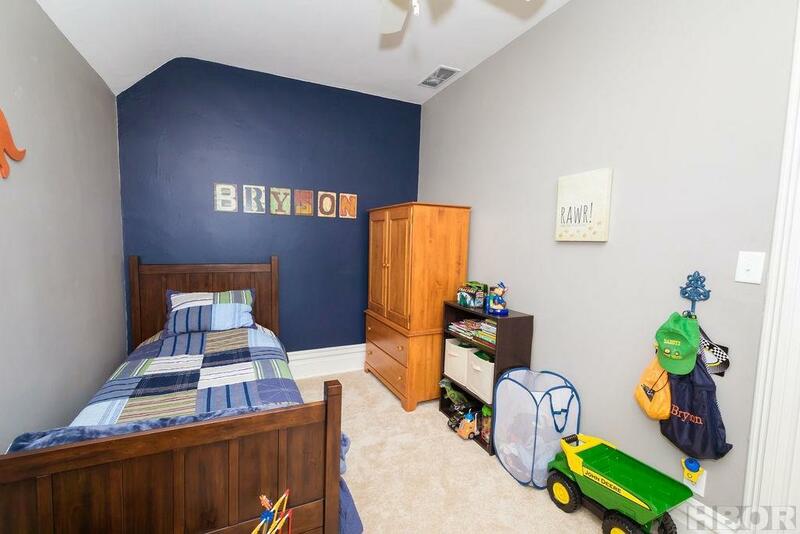 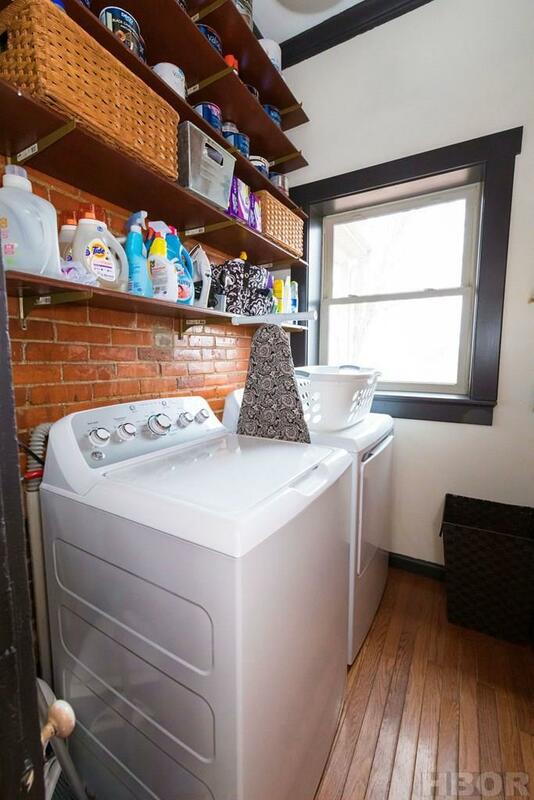 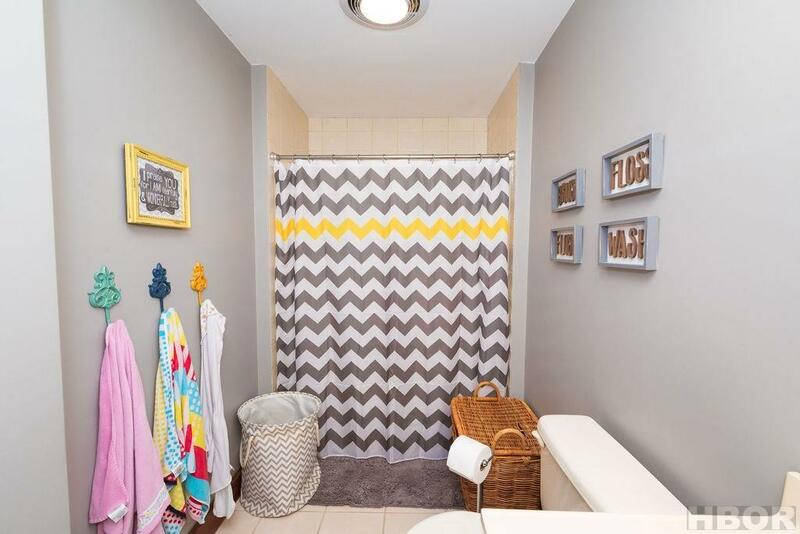 Outside you'll find a detached 2-car garage with a full loft above it that has new carpet. 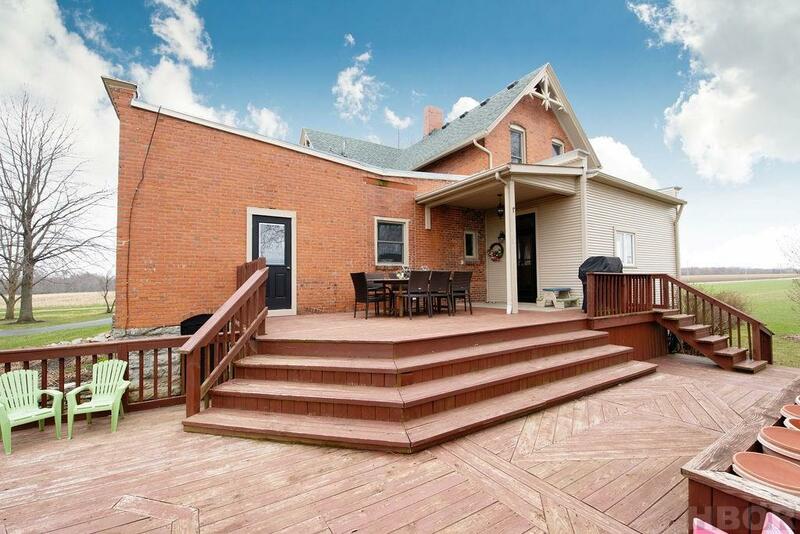 Out back is a large deck for entertaining and plenty of green space for summer fun. 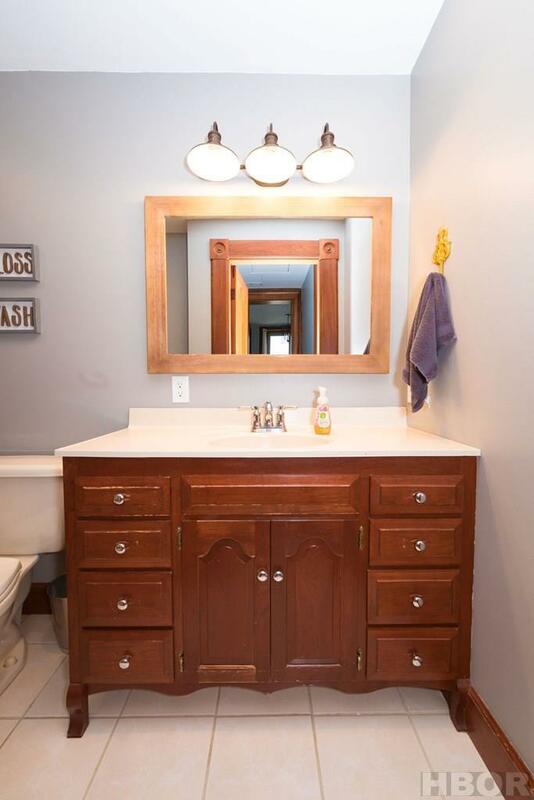 Some of the mechanical updates that have been done are complete kitchen remodel, all new electric throughout, new lighting fixtures, new plumbing replaced where needed, new bathroom faucets and fixtures, a heat pump added, and central air unit for the upper level, new carpet, fresh paint on walls and ceilings, windows were replaced 5 years ago, closets have organizers installed, a new 50-gallon electric water heater, asphalt roof in 2013 was replaced, and in 2016 there was a well pump added and lines were ran to the house. 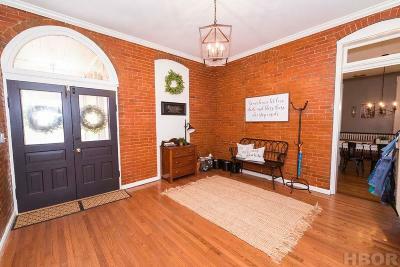 Contact the listing agent today.